Not to be confused with The British Postal Museum & Archive, formerly known as the National Postal Museum. A postal museum is a museum dedicated to the display of objects relating to the postal service. A subcategory of postal museums are philatelic museums, which focus on philately and postage stamps. The Postal Square Building served as the main post office for the city of Washington, D.C., from the building's completion in 1914 to 1986. 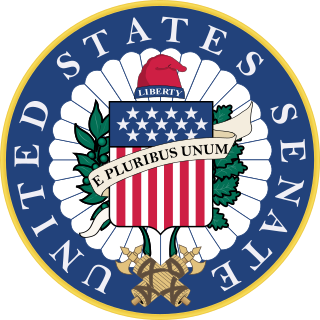 It now houses the National Postal Museum, the Bureau of Labor Statistics, and offices of the United States Senate. Architect Daniel Burnham designed the building in the Beaux-Arts style—the same style Burnham used for the neighboring Union Station. Construction for the Postal Square Building began in 1911 on a lot near the Capitol. Planning began with a 1901 proposal by the Senate Parks Commission. The commission called for three buildings to mark the northern end of the Capitol complex. 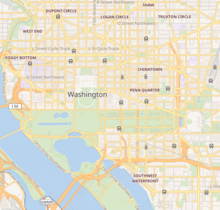 While the first two buildings in the plan, Union Station and the Postal Square Building, were completed early in the 20th century, the 1901 plan would not be fully implemented until the completion of the Thurgood Marshall Federal Judiciary Building in 1992. Ernest Robert Graham was an American architect. 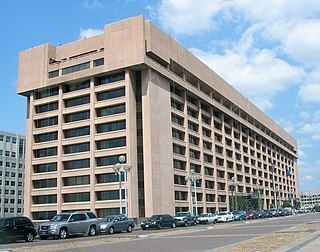 The building in which the museum is housed also serves as the headquarters of the United States Department of Labor's Bureau of Labor Statistics, as well as a data center for the United States Senate. The National Philatelic Collection is a collection of nearly six million postage stamps, revenue stamps, and related items, owned by the United States Government and managed by the Smithsonian Institution. It is housed within the National Postal Museum and a portion of the collection is on display in the museum's National Stamp Salon. The National Philatelic Collection is among the world's largest and most valuable stamp collections and, along with the Postmaster General's Philatelic Collection, is one of two stamp collections owned by the United States. Owney, was a Border terrier adopted as the first unofficial postal mascot by the Albany, New York, post office about 1888. The Albany mail professionals recommended the dog to their Railway Mail Service colleagues, and he became a nationwide mascot for nine years (1888–97). He traveled throughout the 48 contiguous United States and voyaged around the world traveling over 140,000 miles in his lifetime as a mascot of the Railway Post Office and the United States Postal Service. He is best known for being the subject of commemorative activities, including a 2011 U.S. postage stamp. Since 2002, the museum has presented the Smithsonian Philatelic Achievement Award every two years. The Inverted Jenny is a 24 cent United States postage stamp first issued on May 10, 1918 in which the image of the Curtiss JN-4 airplane in the center of the design is printed upside-down; it is probably the most famous error in American philately. Only one pane of 100 of the invert stamps was ever found, making this error one of the most prized in all philately. The British Guiana 1c magenta is regarded by many philatelists as the world's most famous rare stamp. It was issued in limited numbers in British Guiana in 1856, and only one specimen is now known to exist. It is the only major postage stamp ever issued that is not represented in Britain's Royal Philatelic Collection. The Benjamin K. Miller Collection is a unique collection of stamps and other philatelic materials donated to The New York Public Library in 1925 by Milwaukee attorney Benjamin Kurtz Miller (1857–1928). This collection was the first complete collection of U.S. stamps ever assembled. His collection is known as the "crown jewels" of U.S. stamp collecting for its rare holdings, depth, and variety. George Townsend Turner of Washington, D.C., was considered a leading philatelic bibliophile of his era, amassing a very large body of philatelic literature over his lifetime. He was the acting curator of the Smithsonian Institution's philatelic collection from 1959 until 1962 and was the owner of the largest private philatelic library ever assembled. William Carlos Stone, called "Uncle Billy" by his friends, of Springfield, Massachusetts, was a philatelist who specialized in the collection of philatelic literature related to revenue stamps and postal stationery. Woodrow Wilson Hulme II was a philatelist noted for his work in advancing the appreciation of stamp collecting, especially by his work at the National Postal Museum in Washington, D.C.
Patricia A. (Trish) Kaufmann of Lincoln, Delaware, is an expert on the postage stamps and postal history of the Confederate States of America (CSA), and has written hundreds of articles on the subject; she is known as a diligent researcher who brings postal history to life. She is also a speaker on the subject. David Richard Beech MBE was the curator of the British Library Philatelic Collections from 1983–2013. He is a Fellow and past President of the Royal Philatelic Society London (RPSL). In 2013, it was announced that Beech will receive the Smithsonian Philatelic Achievement Award for outstanding lifetime accomplishments in the field of philately. The Fitzgerald Collection is an extensive philatelic collection of air mail stamps donated to the British Library and announced in 1951. William Hunt Gross is an American investor, fund manager, and philanthropist. He co-founded Pacific Investment Management Co, the largest global fixed income investment company, and ran their $270 billion Total Return Fund (PTTRX), before leaving to join Janus Capital Group in September 2014. World Stamp Show-NY 2016 was the United States' once-a-decade international celebration of stamp collecting. It took place at the Jacob K. Javits Convention Center in New York from May 28 to June 4, 2016. This was the first international stamp show to be held in New York since FIPEX in 1956. Cheryl R. Ganz, FRPSL is an American philatelist who was appointed to the Roll of Distinguished Philatelists in 2018. ↑ "Meet our staff". National Postal Museum. Retrieved 2017-10-08. ↑ Weeks, Christopher. (1994) AIA Guide to the Architecture of Washington, D.C. (3rd Edition), Johns Hopkins University Press. ISBN 0-8018-4713-3. ↑ "William H. Gross Stamp Gallery". National Postal Museum. Retrieved 2013-10-02. Wikimedia Commons has media related to National Postal Museum .